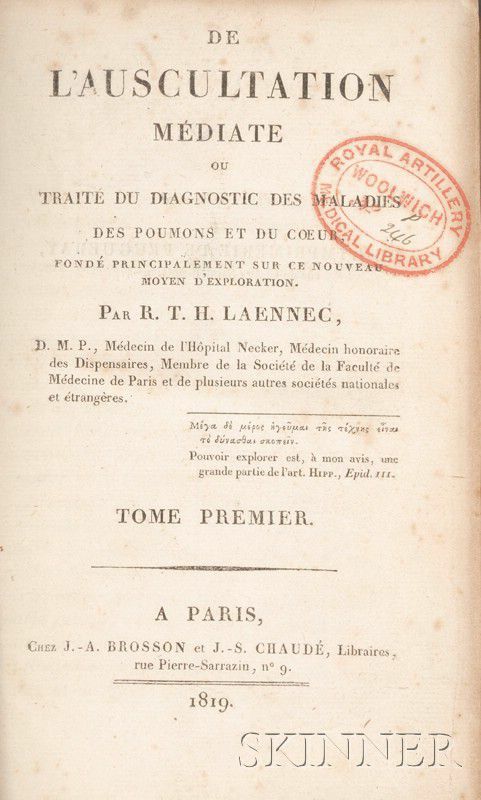 (Medicine), Laennec, Rene Theophile Hyacinthe (1781-1826), De l'Auscultation mediate ou Traite du Diagnostic des Maladies des Poumons et Du Coeur, Paris: J.-A. 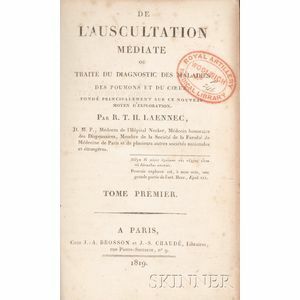 Brosson et J.-S. Chaude, 1819, two volumes, first edition, full calf, with four folding plates, 8vo, (spines sunned, title pages with library stamps, scattered spotting). Garrison-Morton 2673, 3219, 3614; Osler 1318; PMM 280; Waller 5491; Wellcome III, p. 429.